Sometimes the best way to hide things is in plain sight. Whether you're trying to sneak some medication past security at a concert with a zero-tolerance policy, or you're just worried that maybe Omar comin', YouTuber MrGear has a clever way to put your mind at ease. In the video below, he shows us how we can store important or treasured items in five places few would think to look. Out of the five, the best one is definitely the 9-volt battery mini safe. 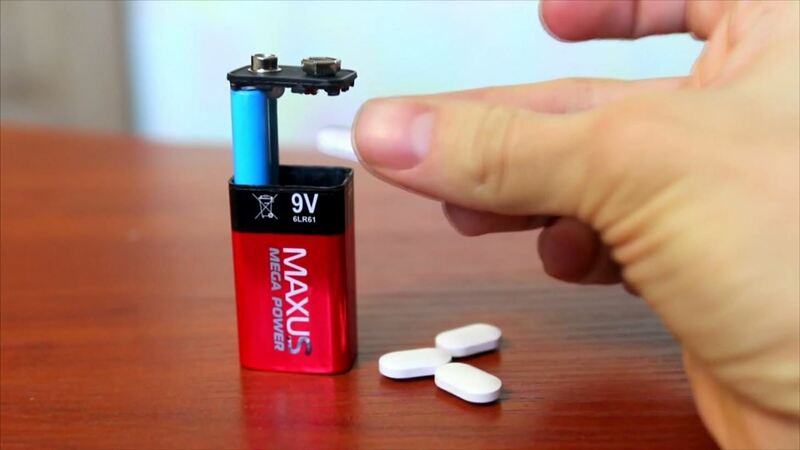 Take the X-Acto knife and slice around the edge at the top of the battery. 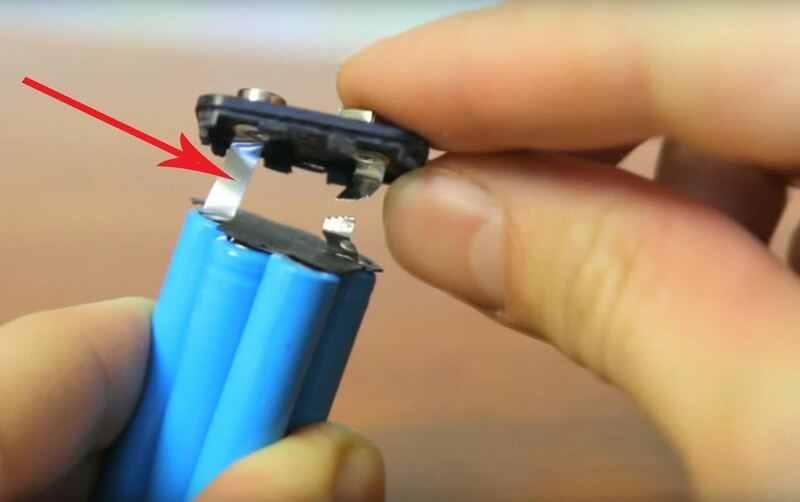 Cut through until you're able to remove the plastic piece that the battery connectors are attached to. 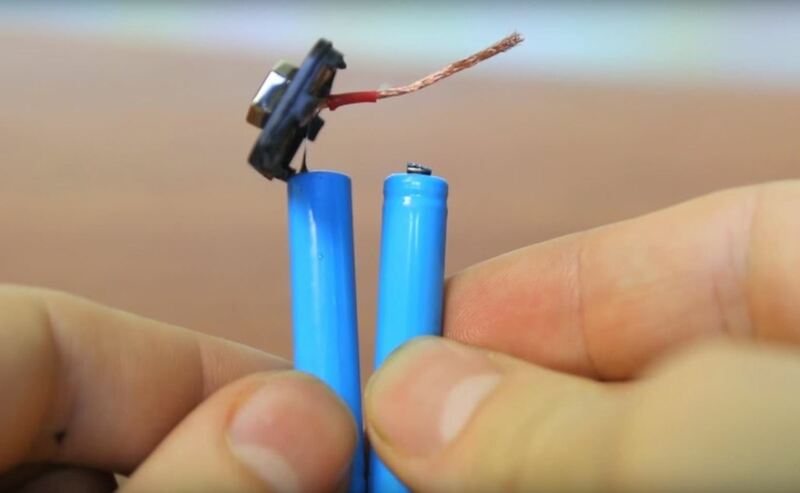 Pull out the connectors and the cylindrical cells, which are just six 1.5-volt batteries. Now, you've got a choice to make depending how secret you'd like to make your 9-volt safe. We'll start with the simpler version first, and save the more clandestine version for later. 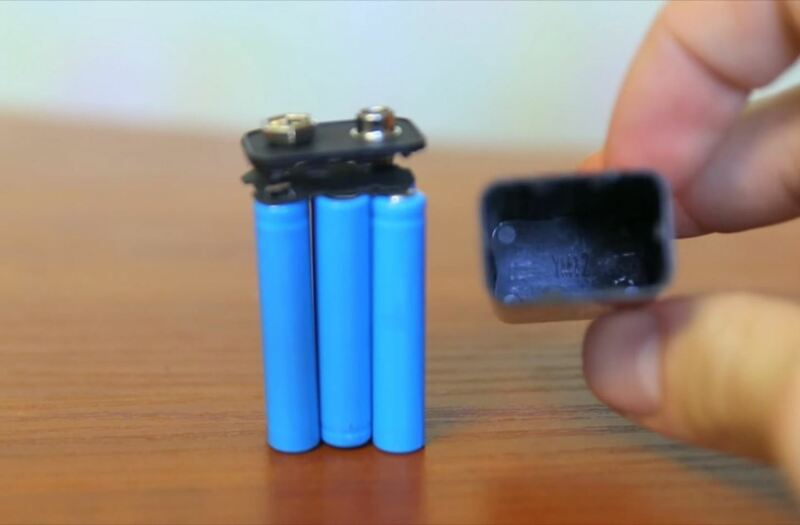 To make the simpler version, just clip the ribbons attached to the battery cells, so that they are no longer attached to the connector. 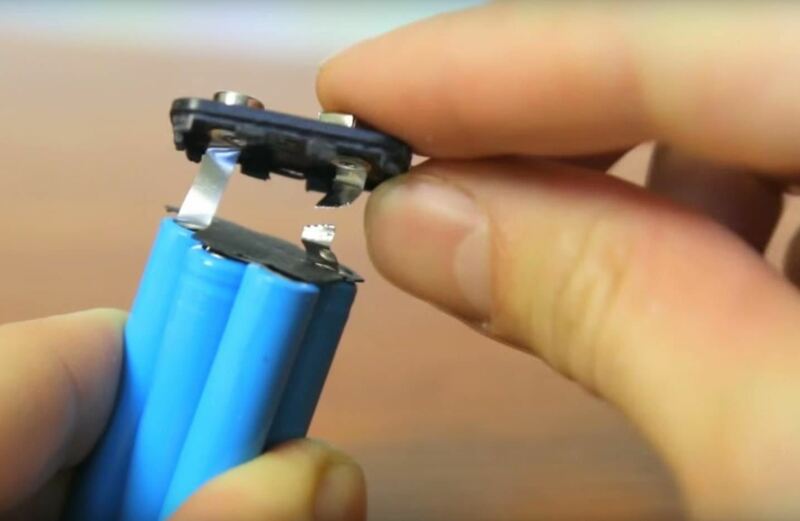 Your simple 9-volt battery safe is done. All you have to do is stick the items you'd like to keep secret inside, pop the connector back onto the case, and be on your way. 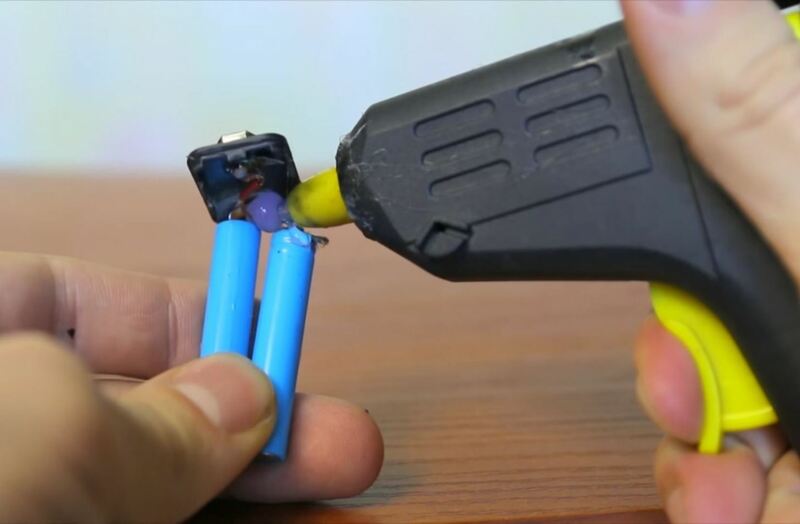 If you think you're going to need to be a little more sly by actually using the 9-volt battery safe to fool people, keep two of the cylindrical cells attached so that your safe will remain a functional (albeit less powerful) battery. You'll also have a little less storage room inside your "safe." 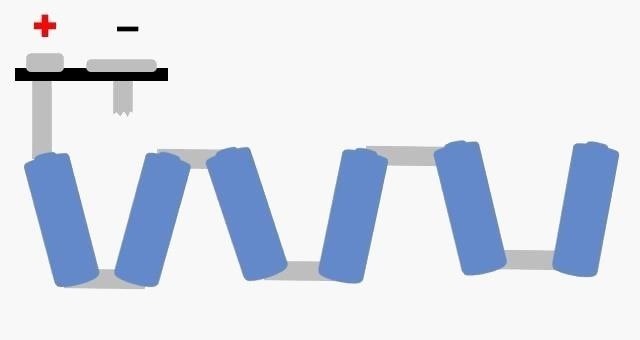 Instead of cutting both ribbons, just clip the ribbon below the negative connector (the female, or wider, flatter, connector). You're going to want to carefully unravel the cells. 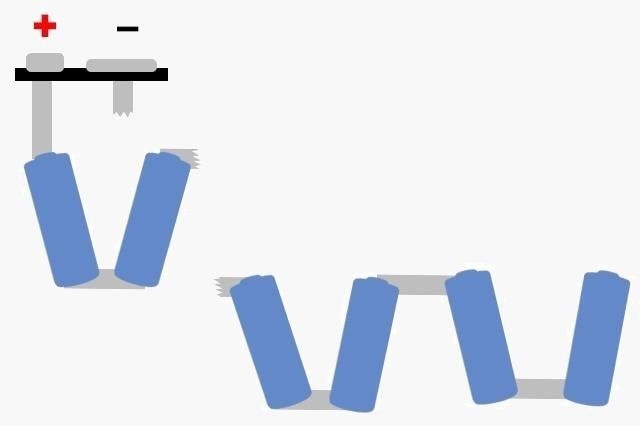 There will still be one cell attached to the positive connector—this cell will remain, as well as the cell directly attached to it. Since we just need the first two cells, you're going to want to snip the ribbon between the second and third cells. 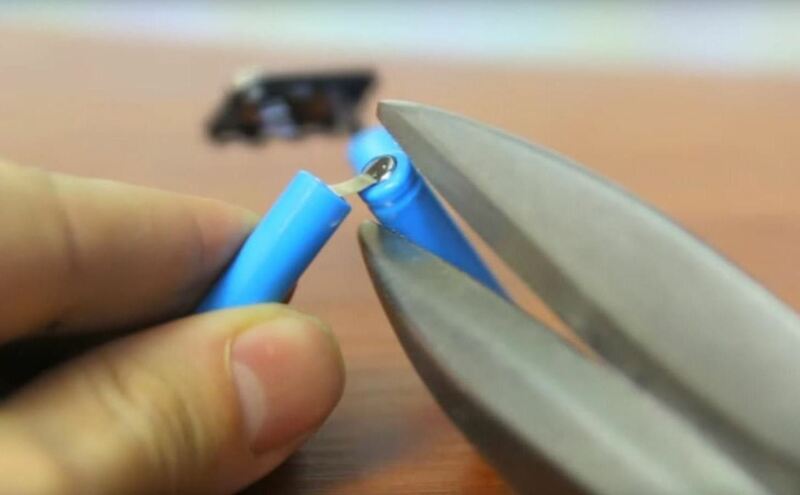 Next, we'll need that wire and a hot glue gun (or a soldering iron if you have one). Glue or solder one end of the wire beneath the negative terminal, where we previously disconnected the ribbon. 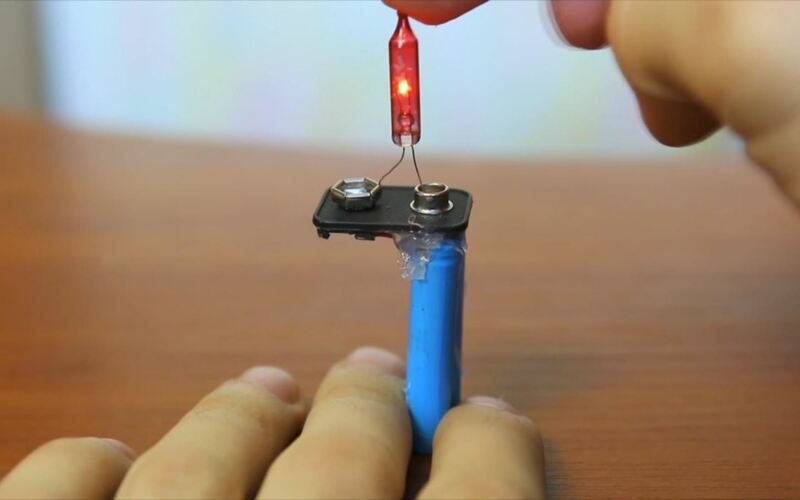 Once that dries, glue or solder the other end of the wire to the positive end of the second battery cell. You can then glue or solder both cells to the underside to keep them in place. This way, you won't have to worry about the cells moving around inside your safe, and the amount and shape of the storage area will remain consistent. 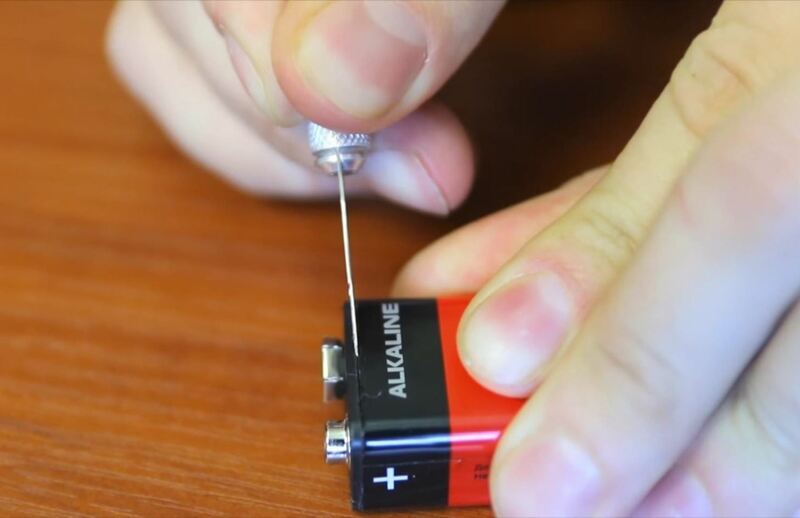 Once you've done this, your battery safe should still have 3 volts of power to help keep up the illusion. Now all you've got to do is load up your battery safe. If you're putting hard, rigid objects in your safe, you might want to consider wrapping them up first. Nine-volt batteries don't rattle—it'll be a dead giveaway if someone hears something shaking around in there. Press the top back down, and you're good to go. 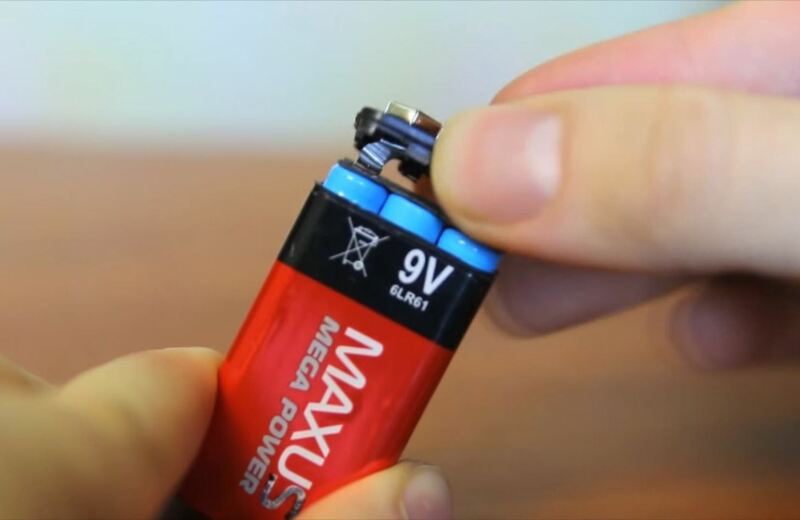 When you need to get back inside, just pry the top of the 9-volt battery off with your fingernail, or a credit card, guitar pick, or similar item. MrGear has a couple other tips for making hidden storage compartments out of household places in his video, so check those out too for ways to hide money and jewelry.